My name is Josh, and for most of the year I work at a boarding school outside of Boston. I live on campus with my wife, three mostly-adorable kids, and two three-legged dogs. Every summer, I shift gears and fly up to Bristol Bay, Alaska for two months with my business partner and old friend, Marc. When I graduated from college, I signed up on a whim to work on a salmon fishing boat for the summer. That was 18 years ago, and I’ve gone back every summer since. I find the stripped-down lifestyle and singular focus of life on the boat deeply satisfying. Six years ago, I decided to start running my own boat, the Full Scale, and invited some of my closest friends to join me. It’s round-the-clock intense work with limited periods of rest, but I enjoy the experience and the camaraderie immensely. During my second season running the Full Scale, Marc joined the crew and is now in his 6th year of service as a deckhand. Marc shares the same passion for salmon that I do and is excited to be joining my family in our quest to bring this amazing fish to the east coast. It is so important to us that Bristol Bay is a well-regulated and highly-sustainable fishery. The salmon we catch live in one of the most pristine river systems in the world. We feel good about fishing there and bringing this salmon to the market. A great benefit of our summer adventure is that we are able to bring home incredibly fresh and healthy food for our families each year. Until now, we were only able to bring it back in extremely limited quantities. Last year I joined a small fishing co-op that produces the highest quality salmon in Bristol Bay. Along with a small fleet of other specialized boats, we are held to the highest standard from the moment we catch our fish to the minute it is delivered at the dock. From the delicate handling of each fish on the boat to the careful and meticulous preparation and packaging in a state-of-the-art facility, the quality and flavor of this fish is unmatched. We harvest Wild Alaskan Sockeye Salmon in our small, family-owned, 32-ft, gillnet boat. Our fish is prepared and frozen within 24 hours of being caught in the rivers. All the fish has been professionally processed, vacuum packed, and flash frozen at extremely low temperatures. The pin bones have been removed from these fillets that weigh between 1 and 2 lbs. FLASH FREEZING THE FILLETS AT SUCH A LOW TEMPERATURE PRESERVes PEAK FRESHNESS AND FLAVOR, ENSURing THAT OURS IS THE BEST ALASKAN sockeye SALMON YOU CAN BUY ON THE EAST COAST. 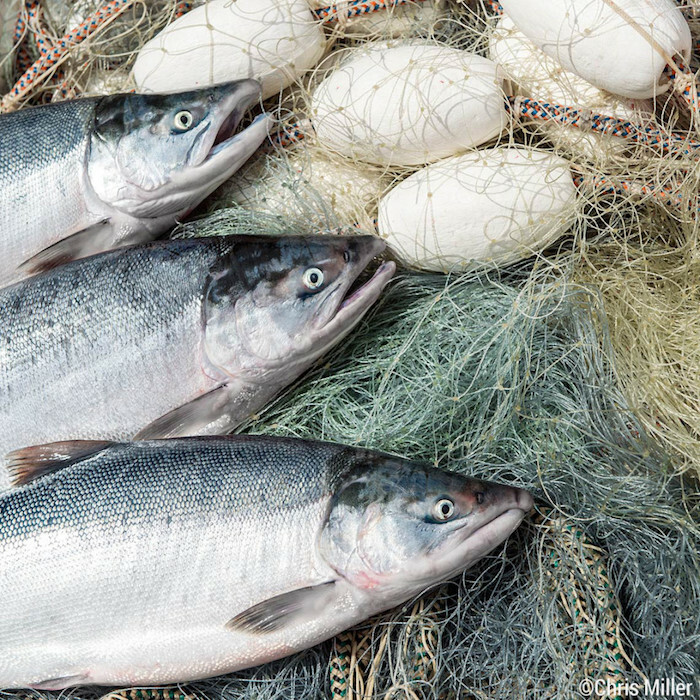 Knowing where your fish comes from is critical when buying seafood. Alaskan salmon sitting in a seafood case at the grocery store has most likely been frozen before being thawed in the display and is rarely fresh from the ocean. If you can't be sure that the fish you are buying was caught within the last 72 hours, you should be buying frozen fish. As soon as you thaw a piece of fish, the quality begins to quickly deteriorate. Cooking it as soon as it thaws is the best way to get the most out of your fillet. Our salmon will be available at the beginning of October in a variety of locations including the Fay School Farmers' Market. Stay tuned for more information in the coming weeks. Sign up with your email address to receive news and updates from Papa's Catch Salmon. Thank you! We're glad to have you onboard.